CIENCE Technologies provides sales specialization services to businesses in virtually every B2B sector. 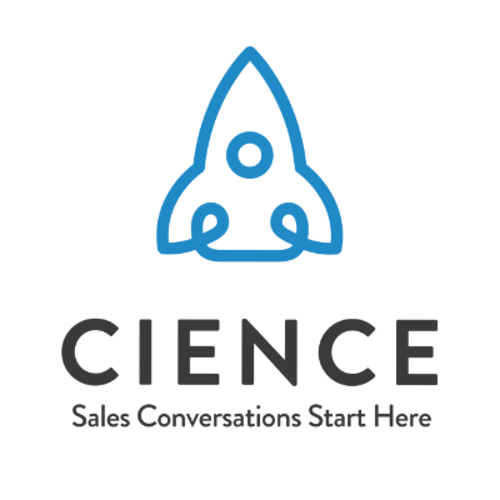 We help our client companies grow through curated sales research, outbound sales development (SDR), inbound sales development (ISDR), and sales operations specialist work. We are a HubSpot Partner, and each of our SDR's are HubSpot Certified in lead generation, prospecting, and qualification skills in order to help your company succeed with targeted appointments setting at the top of the funnel. Our services come complete with a CIENCE 10-day GoToMarket guarantee. Using our pool of talent and advanced tools available to each of our teams, we are able to get clients live with their first campaign in 10 Business Days or less. Clients report that this approach is the most cost-effective, highest ROI, and most direct model in their sales & marketing mix. Talk to our professionals to get started today-- hello@cience.com or visit www.cience.com to book a personal appt. Cience handles all of research and outreach that I don't have time or the same skillset to handle. We have a weekly check-in and the Cience team is always responsive and knowledgeable when I have questions. They have done an excellent job setting up calls and meetings with qualified leads and I'm impressed that they are continuously honing their strategy and sharing their approach and best practices with me. Love working with them and highly recommend this company! I have worked with Cience for almost 2 years now and they have been nothing but Johnny on the Spot. Any changes needed, they are always on top of it. They are excellent at booking appointments and have learned about the special niche of Social Work (of our target audience) in such a short amount of time. It is such a pleasure to work with Cience as I know I can always count on them.